We are thrilled to find out that we are the overall winners of the 1851 Royal Commission’s Catch the Robots Bug competition, which was organised in partnership with the Big Ideas Company. The judges were enormously impressed by the enthusiasm and excellent standard of work produced by every school which made it an incredibly difficult competition to judge. They said that Howes Primary School’s entries were outstanding and they very much enjoyed viewing them. Our Year 6 children loved this competition and were really inspired. They impressed us with their creativity. They truly caught the robots bug! The team at Big Ideas Company will be arranging our prize. For further information about the competition click here. We are delighted to have been successful in the Physical Activity and Health Enhancing Initiatives in the Coventry, Solihull and Warwickshire Primary PE and School Sport Awards for our deaf tennis club. David Moorcroft OBE, Chair of Coventry Sports Network, presented the award to members of the tennis club in a school assembly on 22 June. Our school will now go on to the regional PE awards. We were delighted to be invited by the Royal Horticultural Society and BAM Construction to the RHS Spring Festival at Malvern on 12th May. Our Year 5 outdoor learning leaders went on this visit and were accompanied by Mr Watson and Mrs Townsend. They had the opportunity to visit the show gardens and to attend the award ceremony for the Schools’ Gardens competition. The visit has given them lots of ideas for the current land use topic in Year 5 and 6. They have also been inspired to enter the RHS schools’ competition at Malvern next year. As an end-of-year water slide party was going to be very expensive, Year 6 decided to raise money to pay for it. All Year 6 pupils were invited to contribute their ideas. We finally agreed to hold a ‘Big Sale’ after school. Although we had many brilliant ideas, we eventually agreed on: cakes, scones, brownies, cards, raffle, bracelets and face painting. After a tiring week of doing SATs, we were relieved to get started on the exciting event ahead of us. The tasks were allocated to the pupils who were split into groups of four to six children. It seemed as busy as a factory as everyone worked tirelessly to achieve their goal. Having set up our stalls in the hall, we waited anxiously for customers. What if nobody came? Fortunately we had nothing to worry about. When the bell rang, children and parents swarmed into the hall and eagerly bought everything in sight. On Monday the money was counted. Can you guess how much we raised? An amazing £177.36! Well done to our Year 6 and a big thank you to everyone who supported us. In April, pupils from Year 5 and 6 visited our partner school in Patras, Greece as part of our Erasmus+ FIND project. 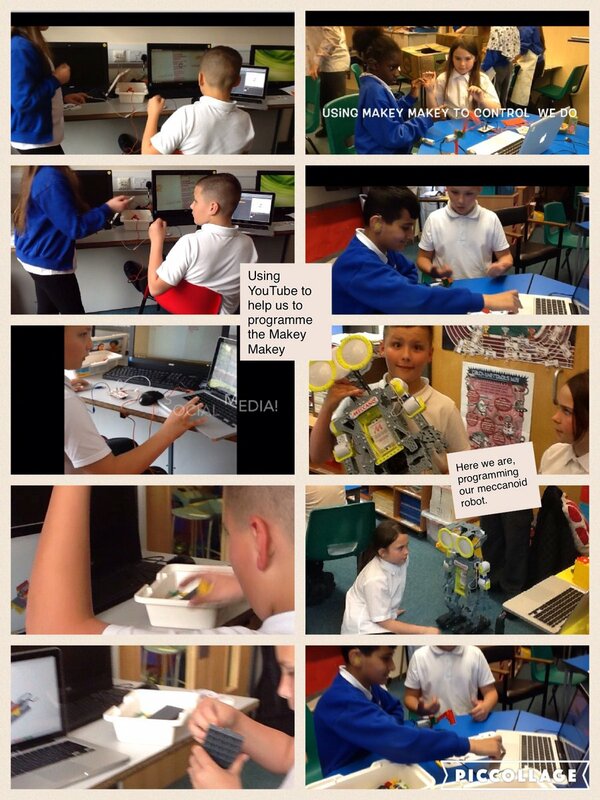 They worked with staff and pupils from our partner schools in Malta, Italy, Poland, Norway and Greece. The focus of the work was robotics and engineering. We were very proud of our pupils as they presented their robotics work at an international conference in Greece. The team also visited the Acropolis in Athens and Ancient Olympia. They had special permission to visit the International Olympic Academy and learn more about the Olympic philosophy. Staff and pupils had a fantastic week and have come back to Howes ready to lead some exciting robotics workshops for all classes.